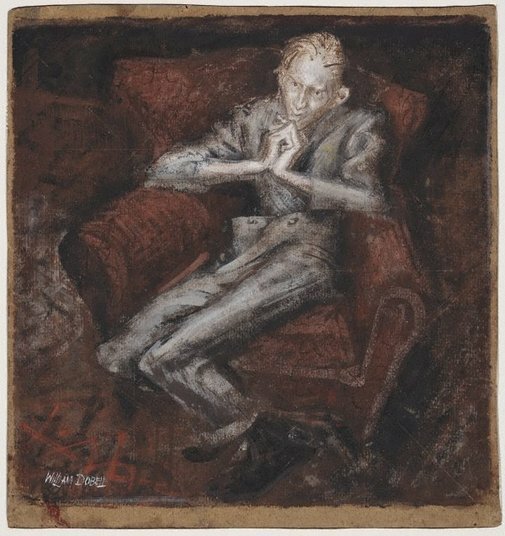 Signed l.l., gouache "WILLIAM DOBELL". Not dated. John Hook, Brought to Light: Australian Art 1850–1965 from the Queensland Art Gallery collection , 'Two Views of Dobell. William Dobell The Cypriot' [overall title of chapter], 'Dobell and Modern Mannerism' by Timothy Morrell' and 'Substance and Spirit', pg. 158-163, Brisbane, 1998, 160, 161 (colour illus. ), 162. Art Gallery of New South Wales picturebook , Sydney, 1972, 110 (colour illus. ).